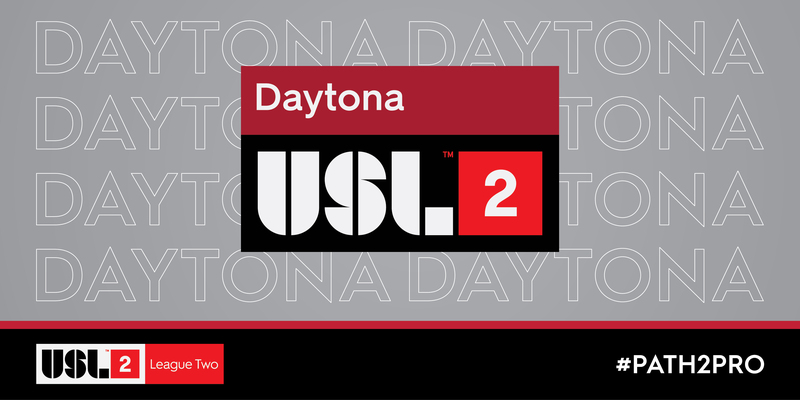 TAMPA, Fla. – Daytona SC has been unveiled as the latest member of USL League Two ahead of the 2019 season. Daytona SC will compete in the Southeast Division during its inaugural campaign in USL League Two, while playing all of its home matches at Daytona Stadium – a 10,000-seat venue that includes locker rooms, a VIP section and press box for media coverage. President Steve Hutton sought out his recent project – Daytona SC – as a means of helping develop a viable option for young players in the greater-Daytona area whether they pursue playing soccer through college or eventually at the professional level. Daytona will announce further branding, including its logo and color scheme at a press conference on Jan. 30 in Daytona. Additionally, the club has also announced that it will hold open tryouts for the 2019 USL League Two season on Saturday, Jan. 26. To follow the club on social media, please visit Facebook, Instagram and Twitter. In addition to Sarasota’s introduction, USL League Two has previously announced Cedar Stars Rush, Dalton, Discoveries SC, Florida Elite Soccer Academy, Green Bay, Manhattan SC, Park City, Virginia Beach United and Wake FC ahead of the 2019 season.